I was researching cupcake ideas for a friend's birthday when I stumbled upon this store! This store is fab-u-lous!! 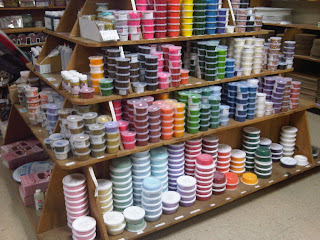 I could spend hours in this store, coming up ideas after ideas for decorating cakes, cupcakes, and other baked goods! Calico Cake Shop in Buena Park is a tiny store, but is filled with everything you need. "I found this place on Yelp this past weekend and I am proud to review it and give it five stars! How did I not know that this place existed just a few cities away from me? 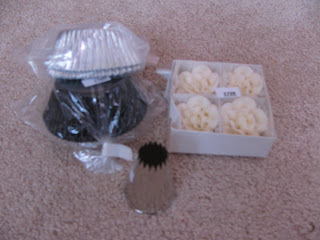 How did I let myself spend all the money at Michael's on Wilton products and pay for expensive shipping on websites like Bake It Pretty. This store is a small shop, which is perfect! (Any bigger I would get lost is all the stuff that covers this store's walls.) Every inch of this store (from floors to walls to shelves) is covered with stuff. Baker/decorator's dream come true! 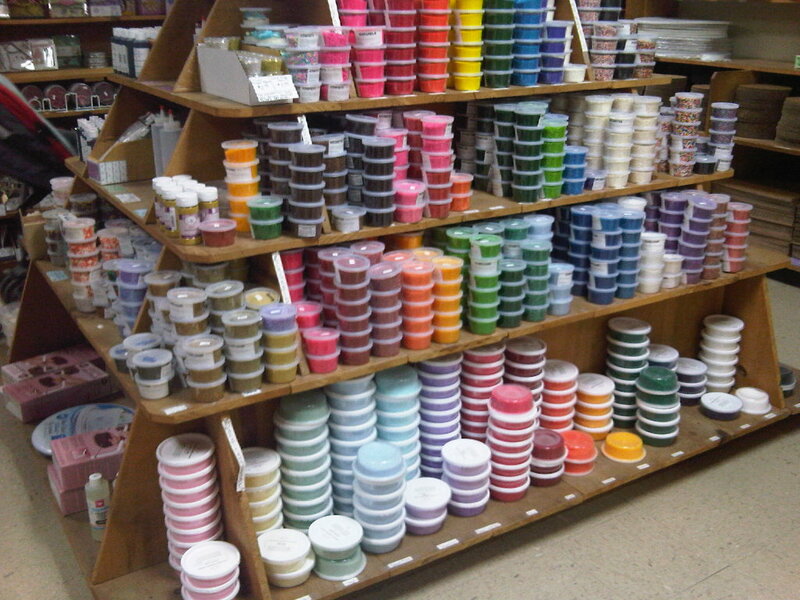 I can't name everything, but they have all types and colors of sprinkles/pearls/edible dust, cookie cutters of all shapes, cupcake toppers and wrappers, fondants, pans, candy melts, pans, books, boxes, and more! I walked in and came out with ideas for at least three upcoming projects. There is a elderly lady who works there (the manager or owner?) who looked kind of strict turned out to be SUPER kind and attentive! I didn't even mention the prices... everything seems cheaper or at market-value. Nothing was marked up. Also, they have things in individual packs or smaller bags so you don't have to buy a huge amount of one thing... for example- their edible pearls are sold in little cups, which is perfect for simple projects. Who needs a whole jar of edible pearls? I am definitely visiting this place again.... very soon!"